Walking on Water: Skeptics Discuss Whether Jesus Matters. 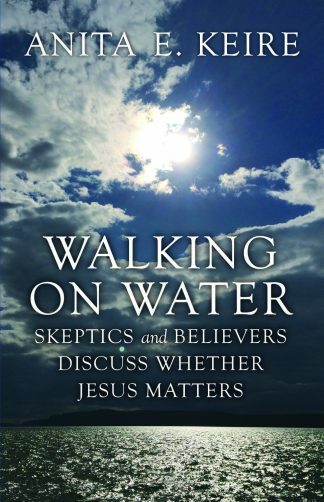 Walking on Water: Skeptics Discuss Whether Jesus Matters is the second book in my Mustard Seed Series Trilogy of the Christian story. 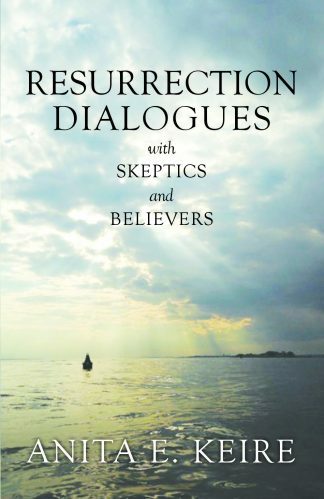 My first book, Resurrection Dialogues with Skeptics and Believers, examines dominant Jewish and Christian beliefs on resurrection from antiquity to the present day. It also covers Liberal, Conservative, Neo-orthodox, and Postmodern religious views. My current book examines the significance of Mary, John the Baptist, Jesus, and Paul. It examines the shape, meaning, and purpose of Jesus’ ministry especially revealed to us through his teaching, miracles, parables, actions, suffering, forgiveness, death, and resurrection. Walking on Water concludes with the emerging church and the spread of Christianity in the first century. 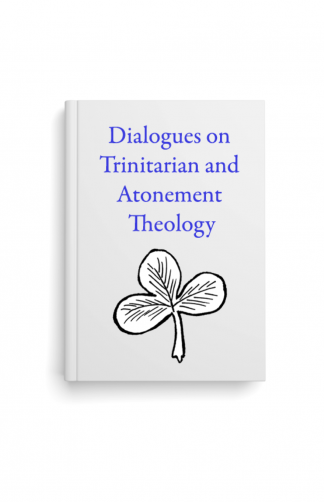 The third book in this trilogy to be published in late 2017 will cover the development of Trinitarian and Atonement theology and doctrine beginning with the first century to today. My purpose in writing these books is to help seekers and believers learn the rudiments of the Christian story. Contemporary beliefs and misconceptions are discussed by six characters whom you may have met in Resurrection Dialogues. Other than for myself, these characters are imaginative composite characters I created to represent major theological positions within Christianity and Judaism. Anita: Not too long ago I had a dream. I was in the midst of white puffy clouds. Nothing was visible in this mist except for a free hanging sign that read in large letters “CLOSED.” Where was I? I turned the sign first one way and then the other. The message never changed. This dream has troubled me ever since. Was God really speaking to me and ordering me to write? Had I arrived in some sacred space and was barred from entering? There was no door or doorknob only the free hanging sign. In the autumn of my life, is God saying to me that I must complete my work before the sign says “OPEN”? Will I forever be excluded? And from what? Or will I at some future time enter a one-way, no-exit destination somewhere outside planet earth’s time and space? And exactly what will it be like? Only time may tell. Thomas: My skepticism makes it hard for me to believe what you are saying. Do you really think God was communicating with you? Anita: To you it may only be a meaningless dream. But I wonder why it was so vivid. Are you saying that certain dreams are not allowed? Are they off limits? Can they not be God’s way of communicating with us? Can anyone stop dreams from happening? Thomas: Well, no. But why are you telling us about this dream? Aren’t you in effect setting yourself up as some sort of authority or messenger from God? Anita: Well, you could say that about all clergy and religious people who encounter Jesus in their daily lives. Some see him in other persons, in the frail and vulnerable, and in those workers helping them. All of life is sacred with different meanings and purposes for different people. Mary: My namesake had an angelic visitation. And Joseph, her husband, had a dream telling him to take baby Jesus and Mary out of harm’s way and to go to Egypt. Thomas: Do you really believe that happened? Mary: Yes. And with all my heart. There is a spiritual dimension to life which we should be open to. It may not be visible, but it is there. Did you watch Pope Francis during the Mass at Madison Square Garden? Even though he wore elaborate robes, the close-ups of him showed a humble man with a message from the Lord. I challenge anyone to deny his sincerity, mission, and genuineness. Thomas: It so happens, my girlfriend and I saw this Mass on TV. What amazed me were the looks of joy, wonder, and devotion on people’s faces as they gathered in worship. I wish I could feel like them. Anita: Perhaps in time you may. Until then, let me share with you some of my musings about my life and God. Early in life, I accepted God’s call to be God’s voice, heart, hands, teacher, and preacher. This call also led me into ordained ministry as well as to a writing ministry. I had the good fortune to be married to an extraordinary and adventurous man who opened up for me broader horizons and understandings. My late husband came from six generations of sea captains. His father died when he was eight. He wished to follow their calling. But his family’s flight from invading Soviet troops led them to flee their home in Riga, Latvia. After World War II, they spent five years in a Displaced Persons’ camp in Germany. No sooner were they resettled in the state of Washington by the Lutheran Church, he was drafted into the Korean War. Upon his return from Korea and Heartbreak Ridge, he used his GI bill to get an education. His greatest joy in life was family and adventures on the water in his sailboat. Sailors’ adventures often are as unpredictable as the weather. They can be life-threatening as well as a glorious gift from God. One beautiful summer day, we set sail from Rye, NY, for Shelter Island in Long Island Sound. Near journey’s end, the fog rolled in. The wind died. Visibility dropped. Daylight gave way to darkness. My husband turned on the engine and slowly powered ahead. At that time our boat lacked radar and a GPS. But we did have two compasses and a depth finder which my husband used in conjunction with his charts to track our course. I stood on the bow of the boat away from the noise of the engine to listen and look for the entrance bell buoy to Shelter Island. If we couldn’t find it, we could land on the rocks or be hit by oncoming boats or rising submarines that ply these waters. Eventually, I heard the bell buoy. We cautiously approached it. My relief and sense of safety made me want to circle this bell buoy until the fog lifted. But my husband, a fearless yet cautious man, refused. If we stayed there too long, we could run out of diesel as well as be subject to the tide and oncoming boats. He handed me the tiller and went below to plot the compass course into the harbor. By carefully staying on course as well as reading the soundings below, we made our way into the safety of the harbor. We can’t cling to a bobbing bell buoy for safety. It is anchored in one spot. It tosses us about, throws us off balance and leads nowhere. And eventually fatigue and brain fog will overwhelm us. The bell buoy is a navigational marker that locates us in a specific spot. That’s all. The direction we take from it is our decision. All my husband and I had at our disposal were steady nerves, boating and navigational skills, a safe boat, navigational charts, two compasses, and a depth finder to aid us. I view the Bible and its revelations about God as my compass, chart, depth finder, GPS, boat, and habitat for my voyage through life. They are like bell buoys and road signs that point us toward our destination. How we use them is our choice. Keep in mind that weather conditions, relationships, limitations, health issues, and other constraints and/or pathways need to be part of the larger framework, too. Don’t let fear take anchor in your mind. So live, learn and move ahead. Don’t just live. Milton: Your experiences can be instructive and helpful if we want to apply them. But they don’t provide all the answers to life. Anita: You’re right. We must use our minds, keep the faith, and dare to go further than we can see or imagine at any given time. Thomas: Many of us feel lost in life and don’t know which direction to take. We are not even sure what our destination should be. There are no simple answers to the challenges we face in today’s world. The Bible cannot possibly tell me what decisions I need to make. Edward: I agree with you Thomas. You need to be careful, very careful. Too many people interpret the Bible from their preferred perspective to justify certain actions, events, and beliefs for which the authors never anticipated or would ever find acceptable. Some people’s use of biblical references fail to understand the overall context from which they are taken. Sarah: That’s true. Such behavior has caused the fractures within Judaism and Christianity as well as between Christians and Jews. It is unfortunate that more people are not aware of this document. Anita: Nostra Aetate is a very important document that refers to other religions as well. Thank you Mary for drawing our attention to it. The entirety of Hebrew and Christian scripture is full of peoples’ understanding and misunderstanding of their relationship with God. So I ask you to patiently journey with me through the challenges, fog and storms of life as we explore who Jesus is and why he is important to our life’s journey. So come aboard and journey with me. What are the guiding principles for your life? What resources do you use to help you navigate your voyage through life?